Point Well Fire was called contained Monday, 21st at 9:00 p.m. Crews remain on scene to improve containment lines and mop up hot spots. The fire size has been reduced to more accurate mapping. The final acres for the fire is 4,757, and expected control is tonight at 6:00 p.m.
Twin Falls District BLM fire managers want you to remember, it is still fire season. One spark, accompanied by warm temperatures and windy days can still cause a significant fire. · Equipment caused wildfires are very common; just one small spark can ignite dry grass. Spark arrestors sre required on ALL portable, gasoline-powered equipment, including tractors, harvesters, chainsaws, weed-eaters, mowers, motorcycles, portable welders and all-terrain vehicles. This time of the year, one small spark can ignite the dry grass on fire. Take the time to make sure your vehicle and trailer are properly maintained, with nothing dragging on the ground. A shower of sparks from a loose safety chain striking pavement can easily start multiple fires in dry vegetation. Cooler weather is around the corner, and many of us are cutting firewood for our fireplace or woodstove. Take the time to make sure your chainsaw is properly maintained. Sparks may fly and ignite a wildfire if the spark arrestor is not properly serviced or the tip of the bar comes in contact with a rock. Hunting season is in full force, remember to enjoy the outdoors while keeping wildfire safety in mind. 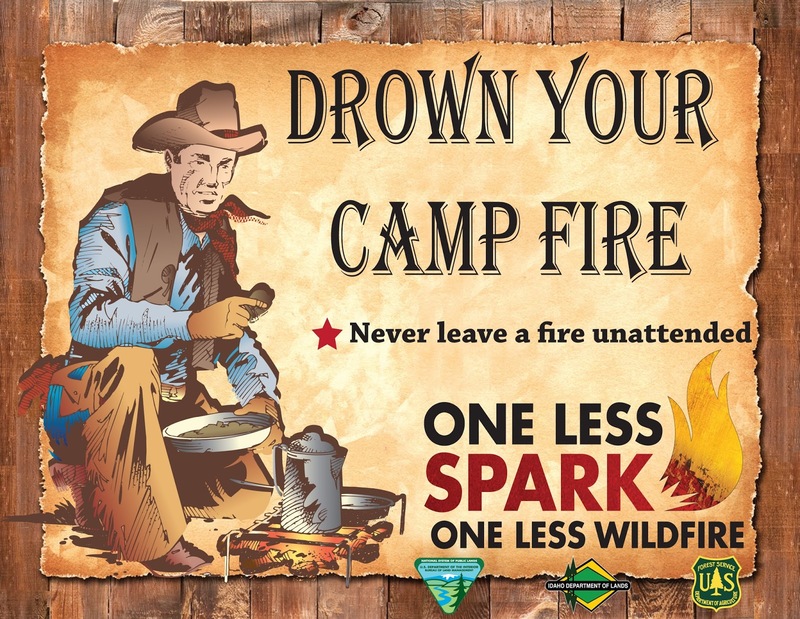 Fire activity remains steady and all it takes is one spark or ember from an unattended campfire, muzzle of a gun or hot exhaust pipe on a vehicle, trailer and ATV to ignite a destructive wildfire. One Less Spark means One Less Wildfire!